Admitted to practice before the United States District Court for the Eastern and Western Districts of Missouri, Central District of Illinois and Southern District of Indiana. Michael Schmitt is a Senior Attorney with the Firm. He is a graduate of Washington University School of Law where he was a member and President of the Labor and Employment Law Association. His practice is concentrated primarily in labor and employment law. 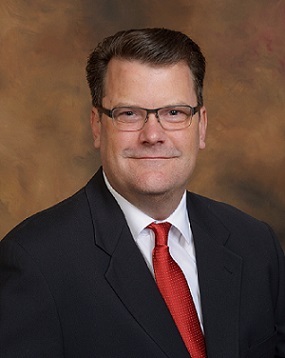 Mike was an Associate with the firm until September of 2010, when he left to practice labor and employment law exclusively in Las Vegas, Nevada. In his two years in Las Vegas, Mike represented employers in both state and federal labor matters. Mike participated in successful interest arbitrations on behalf of local government employers, including one in which the arbitrator awarded an employer’s proposal that included a wage decrease. Mike also handled unfair labor practice charges and participated in arbitrations relating to terminations or alleged violations of collective bargaining agreements. In addition, Mike counseled clients regarding state and federal wage and hour issues, and represented clients with discrimination charges before state and federal equal employment agencies. Mike then went on to Indianapolis, Indiana, where he also practiced labor and employment law exclusively. Mike engaged in a large-scale FLSA coverage and classification project, and participated in federal employment discrimination lawsuits. In addition, Mike drafted handbooks, non-compete agreements, and severance agreements for multi-state employers, and also counseled these employers regarding day-to-day employment issues. Mike also assisted employers with obtaining non-immigrant visas for foreign workers.